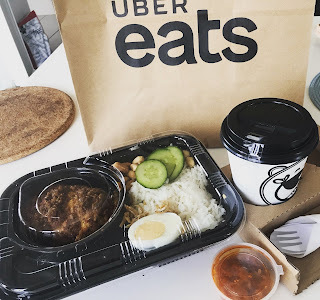 I recently signed up to become an Uber Eats driver in Melbourne, Victoria. In Australia, you could deliver Uber eats on a bicycle, moped, scooter or car if you wanted to. Depending on your mode of transportation, the requirements were different. However, the person applying to work would need an ABN, and be legally allowed to work in Australia, as well as needing to show proof of that. The signing up process is actually easy. However it ended up taking about four weeks due to lack of support and transparency in the signing up process. Finally, I realised that there is a support feature in the app itself. I ended up bombarding the support team every time I had issues. The support team themselves is also not very helpful. Most of the time, they copy and paste standard generalised answers in a very round about manner and expect that you understand it. My first delivery day was done with my cousin for about one hour. We did about 3 deliveries in South Melbourne for about two hours just after lunch and before 3pm. Then I went home after to beat the traffic jam. My second delivery day was between Williamstown and North Altona with Aunt Elena. We didn't do much deliveries as we ended up doing church visitations with an elderly lady from the church near Maddox St. I paused doing deliveries until the weekend, and decided to just go on my own in Altona and Williamstown. I found out that Saturday was the busiest day for deliveries followed by Sunday. The other days in the week do not stack up to the amount on weekends in the suburbs. For doing 8 hours of work in the suburbs over the busy weekend, I could earn about $160 before tax. So far, I've found that I disliked doing deliveries in Footscray, Flemington, Lygon St and in the cbd as parking was difficult. I had one delivery in the city on Lygon St where I had to carry about four pizza boxes and another bag of food. The trip was short and took me a while to find parking. The fare wasn't more as if I had done in the suburbs without the difficulty of parking and further distances too as well. One thing I found out about the Uber Eats app is that their navigation is not user friendly. Tou cannot customise it. However you can change in the settings to use either Waze or Google Earth for that matter. Uber Eats don't pay for your toll charges if it occurred before picking up the delivery. As such, try not to use a route that has tolls prior to picking up your deliveries or it will be out of pocket for the courier. Also, I found out that it is not worth accepting an order that is more than 10 mins away. The distance is too far, and Uber Eats also don't pay for the distance that you travel prior to picking up the order. If you were in the same direction, it won't matter as much though. It is essential. It's not so much that you need to invest money to get a proper bag, but rather the heat bags protect your car from the food smells. It also makes you look professional and better in providing good customer service as well as keeping the food warm. If I am going to pay 30 bucks for a meal, the least I would expect is that it is warm by the time it arrives. You also need to clean your heat bags as they smell and that is just disgustingly smelly when you have to sit in the car for long drives. I had one guy who gave me a Menulog bag for free on one of my Sunday delivery in Altona. That was a pleasant surprise as it meant I didn't have to fork out money for a good heat bag (it was a heat bag of good built). Well, that is it for my first week and a half. I only made about 350 before tax so that is not bad for a side hustle. Would you consider doing Uber Eats? If you are, please join through my referral code. I would greatly appreciate it.